DENVER (December 22, 2017) — Holiday time is also the season of giving and many turn their thoughts toward supporting those in need. Cannabis Business Alliance (CBA) members work to support the communities they operate in by partnering with worthy causes. Collectively, CBA prioritizes community outreach, and this is especially true during the season of giving. Included are some of the important programs supported by CBA members. 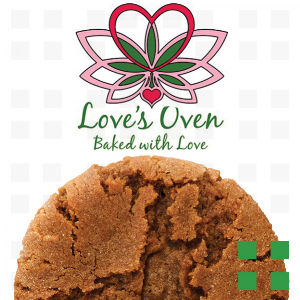 ● Love’s Oven creates a special 10 mg baked good every season and donates a portion of the proceeds to a cause. This year’s holiday treat is a Ginger Spice Cookie and a portion of the proceeds are donated to the Colorado Village Collaborative, which works to provide much needed shelter for the homeless through the building of tiny home communities. ● Wana Brands has donated more than $97,000 in product (retail value) to Grow for Vets, an organization dedicated to preventing suicide and helping provide vets with nonprescription drugs. The company has also supported The Gathering Place, a daytime drop-in center for women, children and transgender individuals experiencing poverty. This holiday season Wana Brands is participating in Boulder Homeless Shelter holiday drive. ● Native Roots Dispensary has a comprehensive community engagement program that resulted in more than 450 volunteer hours company-wide in 2017. Each of their 20 retail locations partners with a unique organization to best serve the needs of community in which they operate. They additionally have dedicated tens of thousands of dollars to non-profit organizations from the Native Roots Foundation. This includes a partnership with the Denver Urban Scholars which partners with high-poverty schools to ensure at-risk students successfully transition from high school to career and college, and more than $15,000 to victims of Hurricanes Harvey, Irma and Maria, where many Native Roots employees have family. You may currently stop by any Native Roots location to participate in their annual coat drive benefiting One Warm Coat. ● Craft Concentrates is always looking for ways to give back to their community and to help patients. This year they are supporting Sacred Heart House of Denver, a homeless shelter for families providing temporary housing, food and clothing for homeless families in Denver. Craft is donating clothing, groceries, toys and more to Sacred Heart House. CBA members have witnessed first-hand the positive impact that Colorado’s cannabis industry has had on Colorado. With the New Year approaching, the CBA encourages every cannabis business owner to develop a Corporate Social Responsibility program that supports causes that are meaningful to their company’s mission and values.